The glorious pride of Outaouais tourism, the Wakefield Steam Train, has been sold for a bargain $1,000 bid. What is left of it will be used piecemeal, wagons turned into 1950s diners, the locomotive saved for further tourism efforts, the Bulletin has learned. Stepping up to the salvation plate, Alain Boucher, owner of Cantine Chez César, is the savvy investor who snatched up the historic chou chou and intends to transform two of the coaches into 50s style diners. He also gets rolling stock, turntable and rails. But judging by the state of the train’s wagons where they sit in the Gatineau Industrial Park near Devault and Jean-Proulx, Mr Boucher has his work cut out for him. 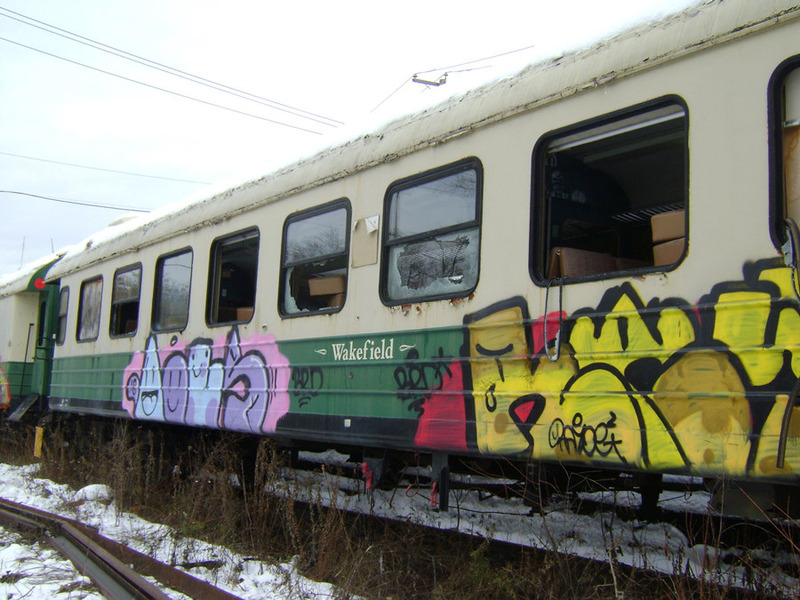 Because of extreme vandalism, shattered windows, destroyed furnishings, and graffiti present a challenge for getting the train up to snuff. As he points out, the wagons are 77 feet long and costs for removing them are to be assumed by the buyer. He may have to deal with squatters as well since at least one young man was spotted in a wagon during our visit, looking very much at home. The City of Gatineau still has the locomotive and is looking to favour a resolution to move it to Dalton Park, a charming tourist facility near the Blanche River and Templeton. This is some consolation for Louise Boudrias, Councillor for Parc-de-la-Montagne-Saint Raymond, who fought so tenaciously to get the train back on the rails when she headed the Chemin de fer de l’Outaouais. Once the pride of Outaouais tourism and a gravy boat for bake shops, boutiques and businesses in Wakefield, the train stopped running in 2011 due to rail washout from torrential rain.